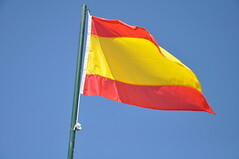 MADRID – Spain will introduce new taxes, remove tax concessions, and reduce government spending in the 2013 fiscal year. On September 27th the Spanish Council of Ministers unveiled the proposed budget for the next financial year, aiming to address the country’s worsening financial situation and to meet the criteria set out for the country as part of its bailout package by the EU and IMF , through reductions in government spending and the introduction of new taxes. Amongst the tax changes detailed in the budget is the removal of several tax breaks which are currently offered to businesses and private taxpayers. If the measures in the budget are approved by Parliament, factories and manufacturers in Spain will also face a tax on the amount of carbon dioxide emitted into the atmosphere. New taxes will also be instituted on winnings from lotteries and on capital gains from short-term investments. In order to cut government spending, the Cabinet outlined reductions to ministerial spending, with an average cut of approximately 9.0 percent. According to the proposed plans, workers in the public sector will see their salaries frozen for at least one more year, but payments for pensions will increase by 1 percent, and new rules will be introduced to restrict early retirement. To ensure that all of the changes aid Spain’s economic recovery, a new independent body will be created to oversee the implementation of the new rules.